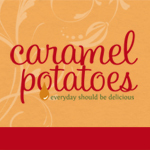 Let’s talk comfort food for a minute. Any thing with corn in it is comfort food at my house. Then there is pudding which I grew to love as a kid and still enjoy the creamy sweet comfort of it. Now let’s put corn and pudding together in the same dish – think creamed corn baked in custard – sounds good right? Corn pudding is a southern favorite comfort food and is great for summer suppers and picnics when there is fresh sweet corn available. But don’t stop there – this dish is a staple for your Thanksgiving and Christmas dinner. If you’re lucky enough to have leftovers, it fabulous straight out of the fridge! Remove and discard husks and silks from corn. Cut off corn kernels into a bowl, and scrape milk and remaining pulp from the cob with a pairing knife to measure 4 cups. Set corn aside. Combine eggs, half-and-half, and baking powder, stirring well with a wire whisk. Preheat oven to 350. Melt 1/2 cup butter in a large saucepan over low heat; add sugar and flour, stirring until smooth. Remove from heat; gradually add egg mixture, whisking constantly until smooth. Stir in corn and black pepper. Pour mixture into a greased 1 or 1 1/2 quart baking dish. Bake, uncovered, for 40-45 minutes or until pudding is set. Drizzle with 1 tablespoon butter and additional fresh ground pepper if desired. Broil for 2-3 minutes or until golden. Let stand 5-10 minutes before serving. * If fresh corn not available, 4 cups of well-drained canned corn will work. 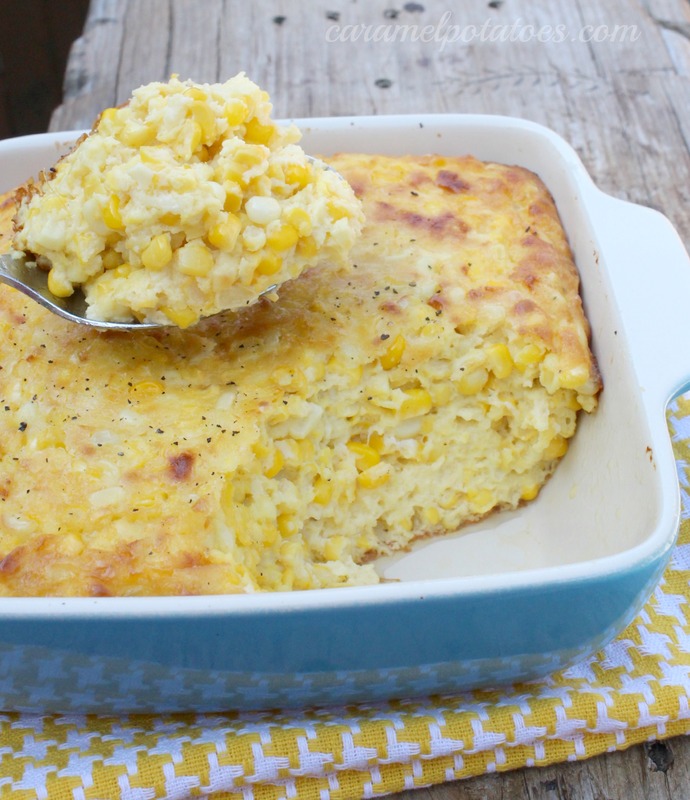 Can you have thanksgiving without corn pudding! My favorite.